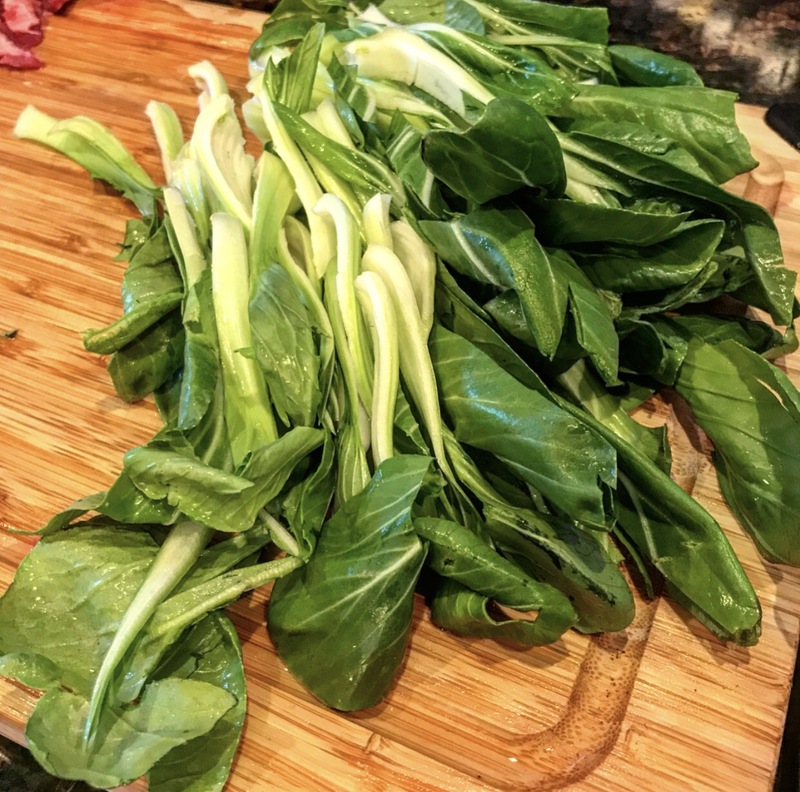 I found a local international market today, they had fresh baby bok choy, and I left with about 10 heads (I was a little excited). I had no idea what I was going to use it to make, but I smiled all the way to the car! 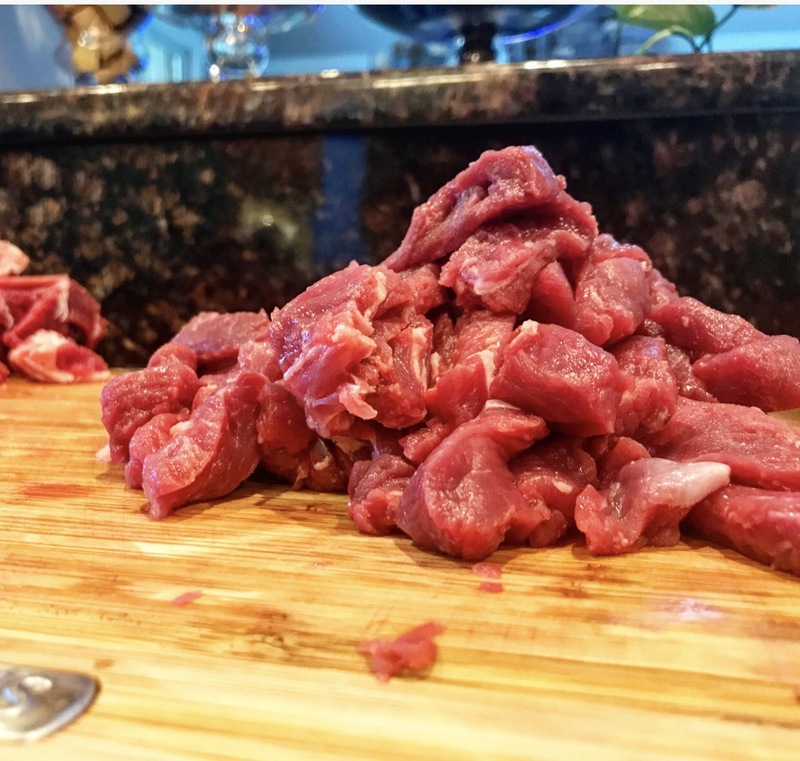 A few months back we purchased 1/4 of a cow from a local farmer & I knew we had some sirloin that we needed to use, so I started brain storming, and scouring through the fridge to see what else we might have that needed to be used. 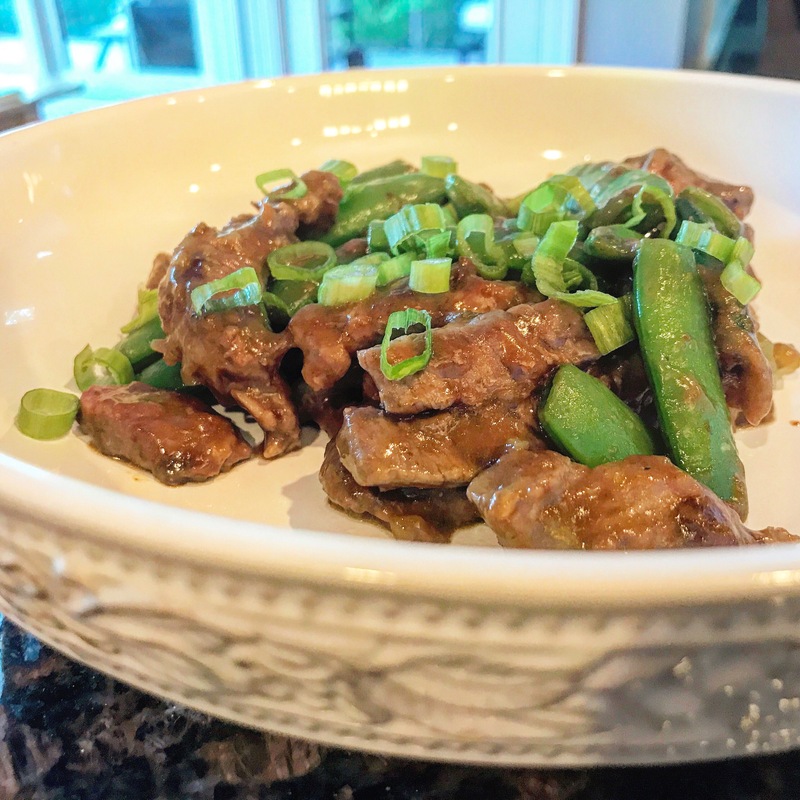 I found sugar snap peas, green onions, and sirloin steak. I love an Asian stir fry (minus the rice of course) and that was what I set out to make. I sliced up the baby bok choy, cut off the white portion of the green onions and diced them up, and cut the ends off of the sugar snap peas. It smelled wonderful, and it tasted wonderful, enjoy! Slice sirloin steak into thin strips, add oil to the pan and heat to sizzle, add sirloin & xanthan gum to the pan. Stir until browned on both sides (do not over cook) and then remove from pan and set aside. Add olive oil to pan & add bok choy, stir until tender, approximately 4-5 minutes. Next add sliced whites of green onion & sugar snap peas, and sauté for 3-4 minutes (until peas begin to soften). In a small boy add aminos OR soy sauce, sugar, and water. Stir well and pour into pan with vegetables, mix well. Add meat back into pan long enough until meat is hot. Remove from heat, plate and serve immediately, with sliced green onions for garnish. Pearl of wisdom: meat will become extremely tough if over cooked. Pearl of wisdom: xanthan gum will act as a thickener and create a light gravy texture. Thanks for all the great recipes! I have grabbed a few for this week’s meal plan!